Founded in 2013 with the idea that growing cannabis should be based on quality to Organic standards. Striving to produce the best results in flavor, aroma, and effect. Using a Propitiatory blend of Living Soil we produce a fragrant and potent variety of cannabis for recreational customers throughout Oregon. We have indipendent breeding facilities on site. we are able to Research and Develop unique cultivars with specific goal sets in mind. 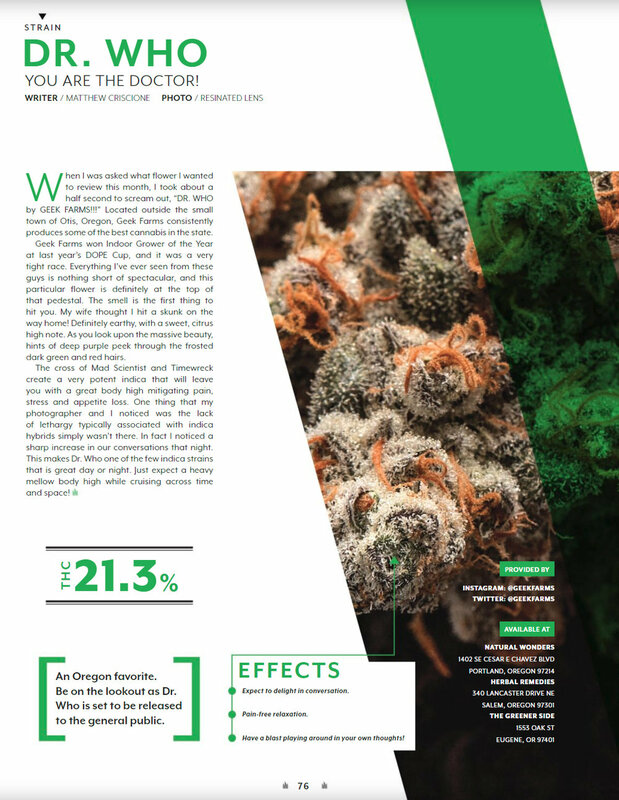 Our menu is diverse in Potency levels, flavor profiles, and effect types. Bringing The Sweet Blueberry Flavors From The Unique BlueJ Mother Plant And Crossing It With Our Staple Strain. Dr Who Is One Of The Most Consistently Potent And Structurally Sound Strains On The Market Today, With A Hashy Flavor The Combination Makes For An Ultra Sturdy Strain With Large Nugs And Sweet/Funky Blueberry Flavors. A Cross Of Jilly Bean (TGA) X Oregon Blues (Homegrown Natural Wonders) The Oregon Blues Brings Blueberry Terpine Profiles From The IBL Jamaican Blueberry Father Into Almost Every Cross We Do. The Candy Sweetness Of The Jillybean Brought A Unique Candied Profile To The Doughy Blueberry That Was Present In The Oregon Blues. Leaving Us With A Strain That Consistently Smells Like Blueberry Pancakes With A Side Of Orange Juice. A Room Of It Smells Like Breakfast. Rotting Fruit And Funk Comes From This Hazy And Extremly Potent Veriety. 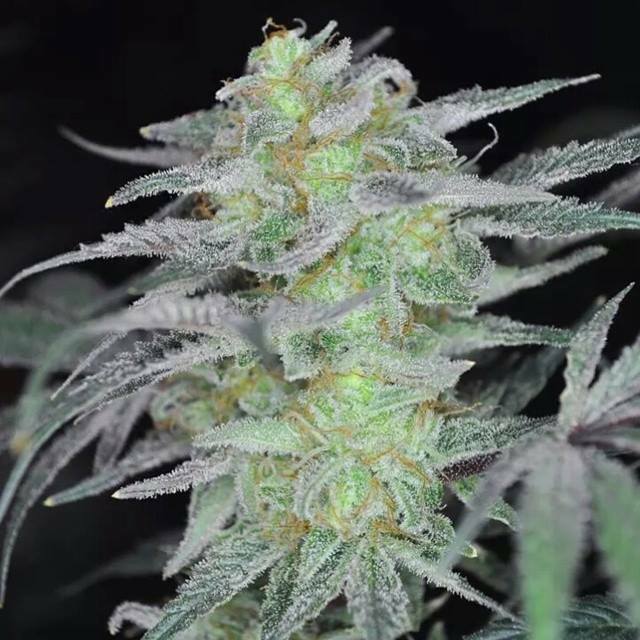 With A Long Flowering Time And Cannabis Indica (*Formerly Sativa) Growth Structure. Grapes and Blueberry Cheesecake wrapped up all nicely in a resin coated package. Old School Funk Meets New School Potency. A Deep Musk With Berry Highlights That Will Leave You In A Stupor For A Few Hours. Making Simple Tasks Difficult For All But The Most Seasoned Of Smokers. Lavender And Grapes Will Fill The Room With Just The Slightest Nugget Of This Classic Poly-Hybrid. The Golden Resin Profile And Massive Coverage Of Tricomes, This Particular Phenotype Has The Bag Appeal Most Strains Strive For. Fuel Soaked Earth In Near Nauseating Intensity. Energetic While Also Dumbfounding,Headband Will Inspire You To Finish Those Menial Tasks You've Been Putting Off,While Simultaniously Leaving You Forgetful Of What The Task Actually Was. Mother Of Bruce Banner OG -Unknown Origin, Thought To Be A Cutting Of "OG" That Made It's Way To Colorado In The 90s And Renamed.